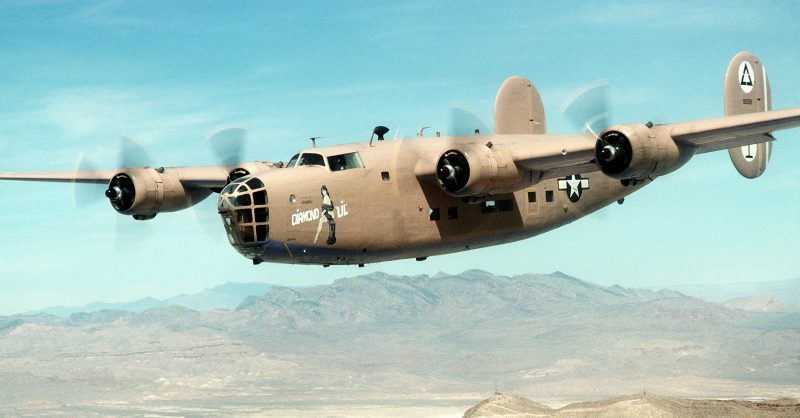 The Students who Found a B-24 in 1,640 Feet of Water! They were delighted to find the image of an aircraft wing and propeller lying in 50 feet of water a few hundred meters from what was the end of a runway during WWII. 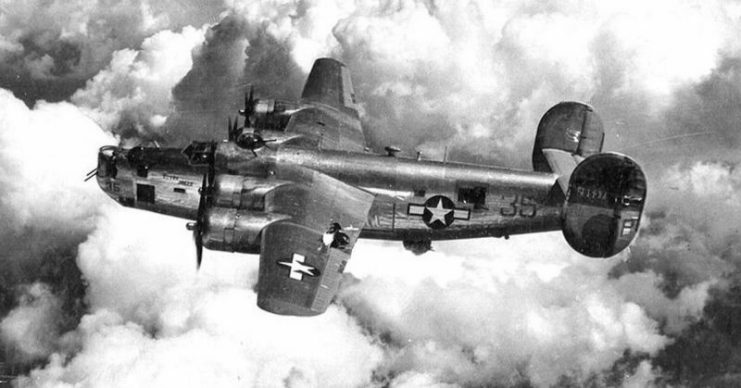 Students from the University of Delaware made a notable discovery when they located the wreckage of a B-24 bomber that was last seen taking off from Kindley Field in Bermuda. The crash occurred in February 1945, when the bomber plunged into the sea in Castle Harbour just minutes after it took off. 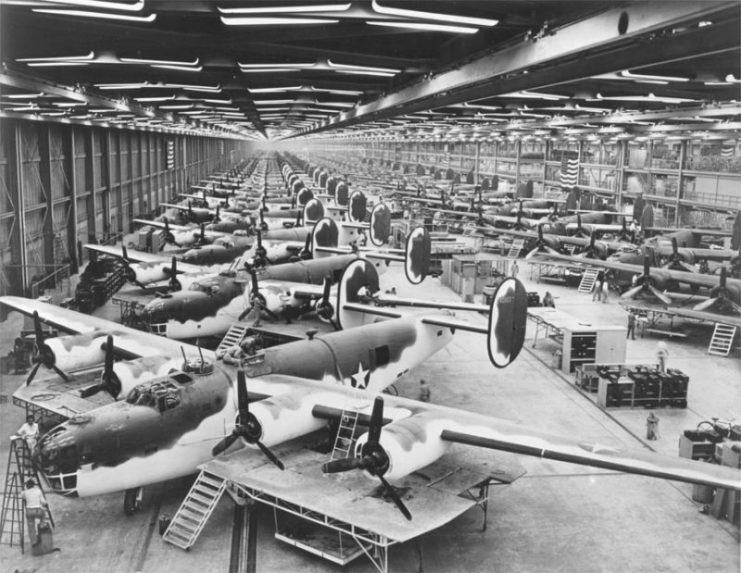 The crash resulted in the loss of five of the bomber’s nine crew members. Four were rescued alive from the sea, and two bodies were recovered, but the remains of the other three crew members are still unaccounted for. According to a spokeswoman from the Bermuda Institute of Ocean Sciences (BIOS), the aircraft had been heavily loaded when it took off at 10:20 PM on a routine ferry flight between Bermuda and Lagens in Portugal. Art Trembanis, an associate professor in the College of Earth, Ocean, and Environment at the University of Delaware, teaches a course in environmental field robotics. He had suggested to his students that they test the skills they had learned while working with BIOS off the coast of Bermuda. 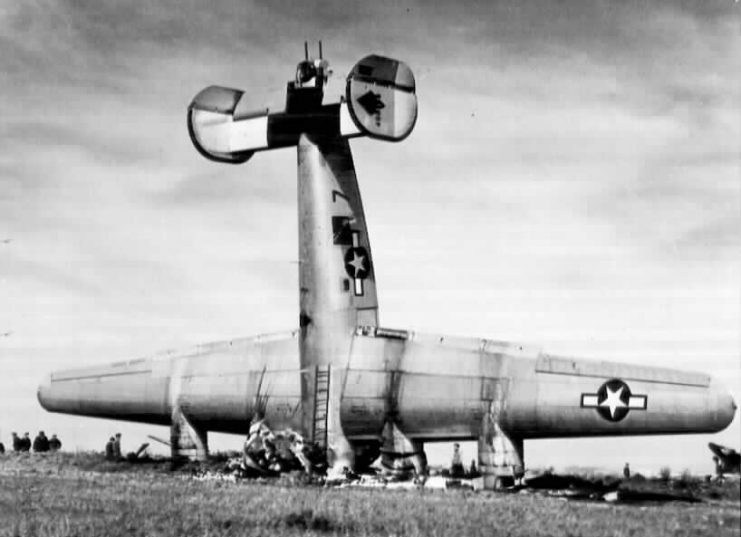 Trembanis said in an interview with The Royal Gazette that since the B-24 was one of the most widely produced planes of WWII this discovery may not be of significant historical significance, but it will help to bring closure to the families of the missing crew members. Dr. Trembanis gave his students all the historical data available, along with information about Castle Harbour and the prevailing weather and sea conditions on the night of the accident. He then set them the task of planning and carrying out a mission to map and search the harbor using the technology and skills taught in class. Dr. Trembanis also contacted the Bermudan government and spoke with Phillipe Rouja who is the custodian of historic wrecks. Trembanis hoped that Rouja could give them additional information about where the wreck might be located and what to expect from the surrounding environment. Mr. Rouja was not convinced that the wreck would be found, for the harbor has been dredged many times and he felt sure the wreckage had been destroyed. As this was a fully-funded school project, though, he was keen to assist in any way. In January, the entire group of Dr. Trembanis, his students, Mr. Rouja, and the researchers from BIOS all met in Bermuda and teamed up with specialist divers Alex Hunter, Alex Chequer, and Gretchen Goodbody-Gringley. Their objective was to use an automated underwater vehicle (AUV) to map the floor of the harbor using a side-scan sonar. According to BIOS, the team chose to map an area that had been previously dredged but lay deeper than the patch reefs surrounding it. The team was assuming that the plane may have sunk deeper over time. The team set about running the side-scan sonar in straight lines over the sea floor, producing a detailed and accurate map of the topography of the sea bed. They were delighted to find the image of an aircraft wing and propeller lying in some 50 feet of water a few hundred meters from what would have been the end of the runway during WWII. The sonar images produced by the AUV show long shadows, which indicate that the aircraft came to rest in a more vertical position rather than lying flat on the bottom. Additional historical information supplied by Mark Guishard, the director of corporate and community relations at BIOS, support this theory. His intelligence shows that the military conducted a salvage operation immediately after the accident, which could explain why the team only found portions of the plane. They may not have found the entire plane, but the students provided valuable data that allows the case to be officially closed. 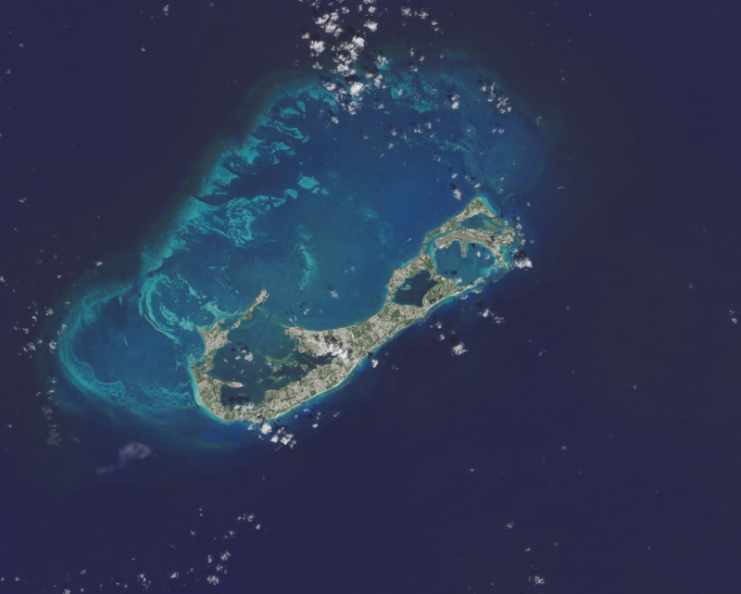 Their data-mapping will be forwarded to the governments of the US and Bermuda so that the next steps can be determined. This latest find by the University of Delaware students is one in a list of wrecked aircraft that have been located in recent years. In 2015, fantastic images of a sunken seaplane belonging to the US Navy were produced by NOAA and the University of Hawaii. This seaplane was lost in the opening salvoes of the attack on Pearl Harbor. Then in 2017, a wreck believed to be a Royal Air Force bomber from WWII was located off the coast of Norway by engineers laying an underwater power link. 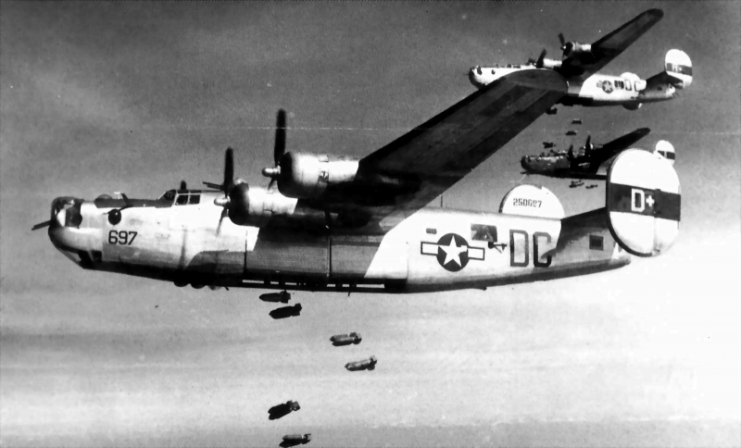 Another B-24 was found in 2018, 74 years after it was shot down over Papua New Guinea during an aerial battle with Japanese forces. Also in 2018, the wreckage of a rare Spitfire was recovered from a remote Norwegian mountainside. This particular Spitfire had been flown by a pilot who would later took part in the Great Escape. As technology advances, the wrecks of more historic aircraft are sure to be located, and hopefully the remains of their crew can also be found and returned to their families for burial.